Use SportGait Mobile to look for concussions signs or symptoms on the field. Know where to go and how to get there with easy to use CDC symptom checker and built-in dialing and driving directions. Get a SportGait Brain PhysicalTM from a medical provider to check for neurocognitive and neuromotor functions that can be indicative of short and long-term effects caused by participation in contact sports. Injured at an away game? Switching to a new doctor? 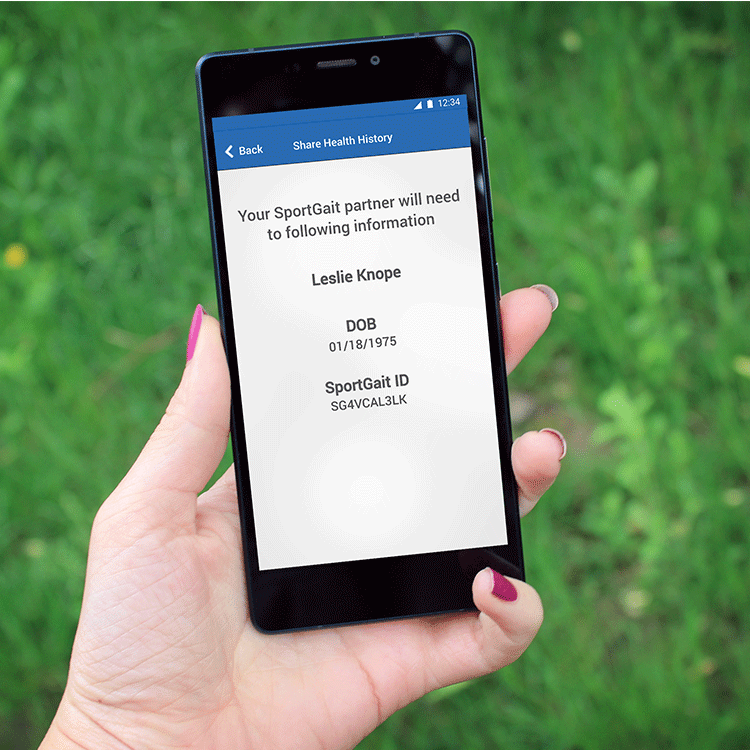 Share your SportGait ID with the provider to import your Brain Physical history. 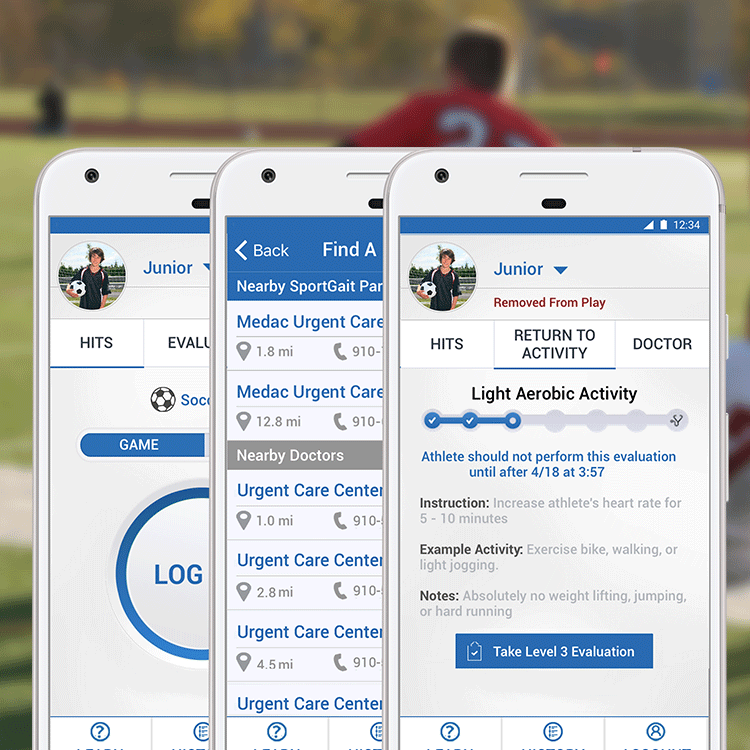 Parents, coaches and trainers can monitor multiple athletes and automatically sync recorded symptoms and treatment instructions with your physician’s records with our mobile application. What is a Brain Physical? 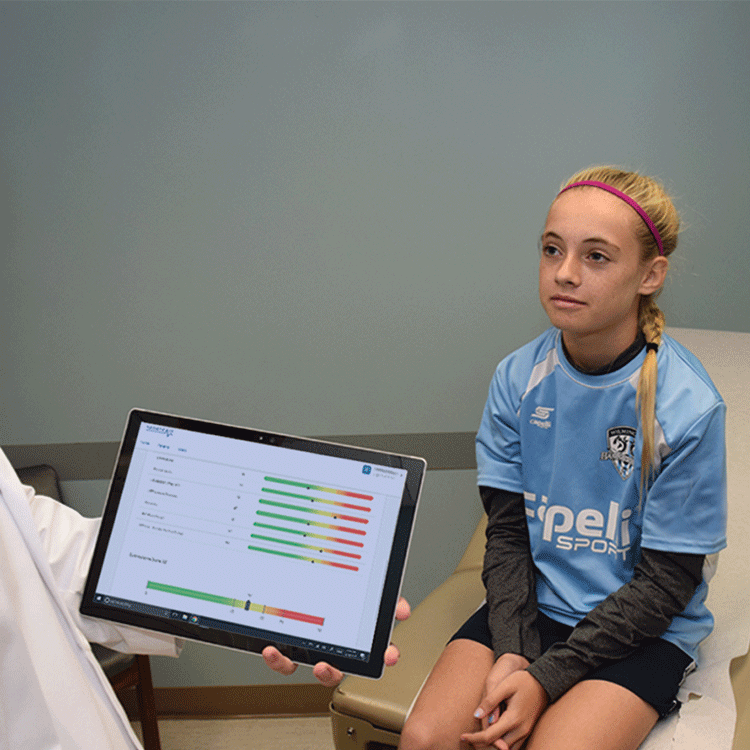 A Brain Physical is made up of 3 simple, validated tests – gait, balance, and neurocognitive – combined with your physician’s normal concussion evaluation. It is also beneficial to have an annual baseline done once a year as a complement to your sports physical. Results are compared to normative data and/or your baseline exam which your doctor can use to support their recommendations in the case of a brain or head injury. with your medical provider as they determine it’s safe to return to school or play!